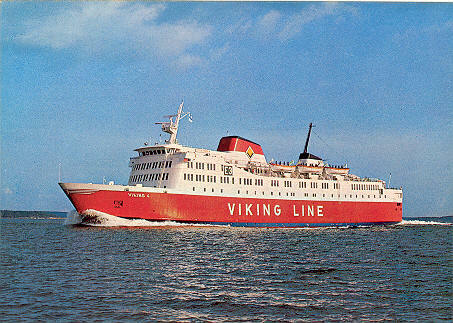 This page is devoted to postcards and photographs of the Viking Lines ferry Viking 4. Viking 4 was the fifth of the six Papenburg sisters, delivered to Viking Line partner Sally in 1973, for the Åbo-MariehamnStockholm route. She also served on the Stockholm-Helsinki and Nådendal-Mariehamn-Kapellskär routes. 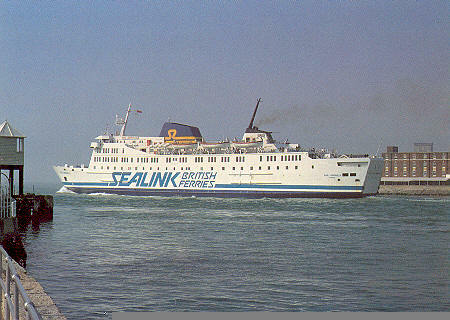 In 1980 Viking 4 was sold to Sealink and served as the Earl Granville on Portsmouth-Channel Islands services. In 1983 she also ran from Weymouth. 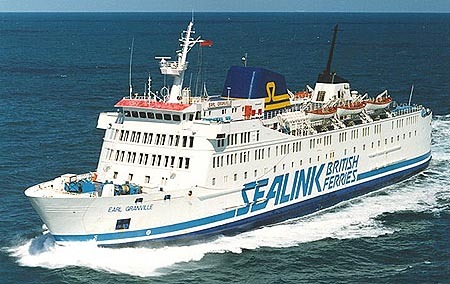 In 1985 Earl Granville was rebuilt internally in Ålborg, Danmark, returning on Portsmouth to Cherbourg and the Channel Islands services. She was laid up in the River Fal for the winter from October 1987, returning to Portsmouth-Cherbourg services in March 1988. 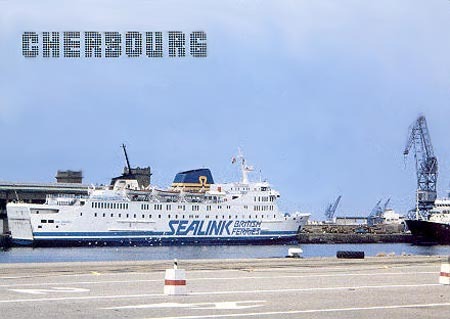 In winter 1988/89 she covered briefly on the Liverpool-Dun laoghaire and Harwich-Hook of Holland routes, before a brief charter to Commodore Ferries. During the summer of 1989, Earl Granville again covered Portsmouth-Cherbourg services but badly damaged at Cherbourg on 19th August. 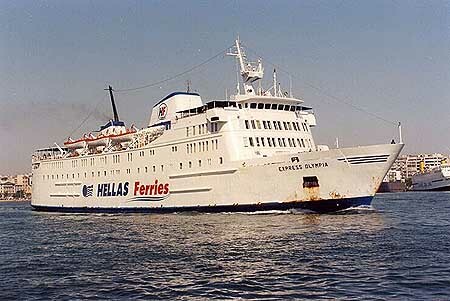 She was repaired at le Havre, but had little use before being sold in 1990 to Greek owners Aegan Pelagos Naftiki Eteria as the Express Olympia. 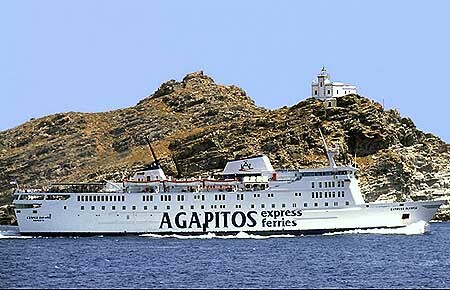 Later owners wers Agapitos Express Ferries, Minoan Flying Dolphins and Hellenic Seaways. She was broken up at Alang, India in 2005. 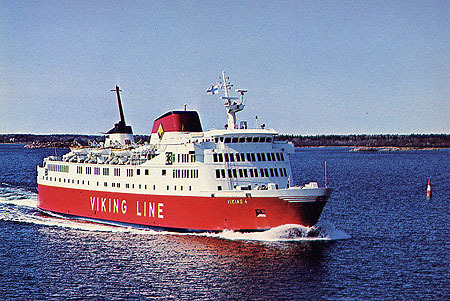 Viking 4 was the fifth of the six Papenburg sisters, delivered to Viking Line partner Sally in 1973, for the Kapellskär-Mariehamn-Naantali route. She also served on the Stockholm-Mariehamn-Turku route. 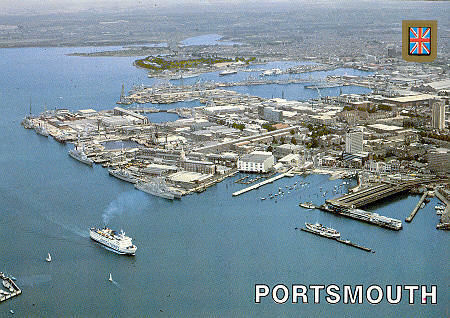 In 1980 she was sold to Sealink and served as the Earl Granville on Portsmouth-Channel Islands services. 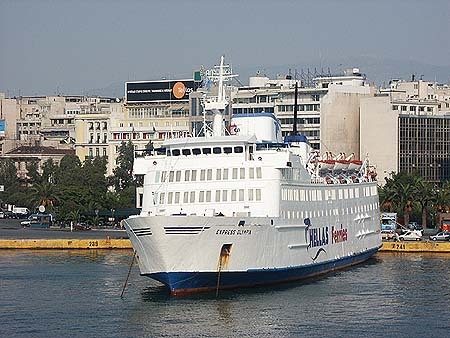 In 1990 she was sold to Greek owners as the Express Olympia. Kapellskär-Mariehamn-Naantali and Stockholm-Mariehamn-Turku routes, 1200 passengers, 265 cars. In 1980 Viking 4 was sold to Sealink and served as the Earl Granville on service from Portsmouth to the Channel Islands and Cherbourg. 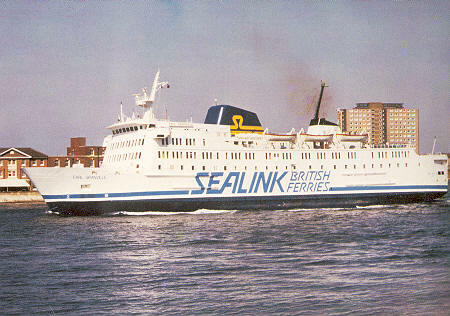 Earl Granville also provided cover on other Sealink routes, including Harwich-Kook of Holland, Liverpool - Dun Laoghaire and Stranraer-Larne. 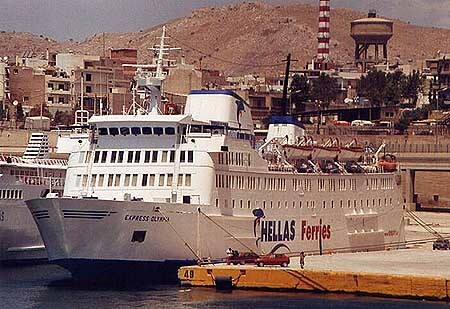 In 1990 she was sold to Greek owners as the Express Olympia. Official postcard of the Earl Granville (Photo Precision R78525). Ile de Jersey postcard of the Earl Granville (one of a set of 14 Jersey ferry cards). 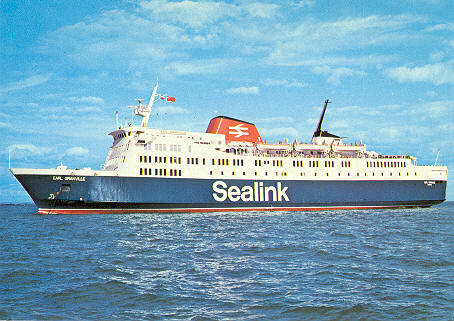 Bob Morris postcard of the Earl Granville in Sealink British Ferries colours. 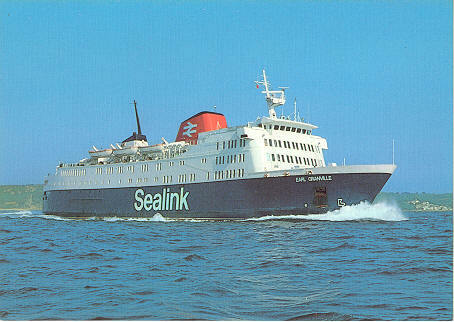 Ferry Publications postcard 0120 of the Earl Granville in Sealink British Ferries colours. 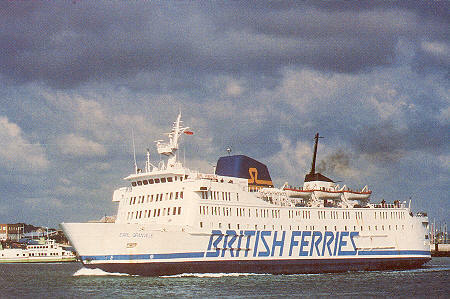 Chantry Classics postcard CC/S31 of the Earl Granville in British Ferries colours. 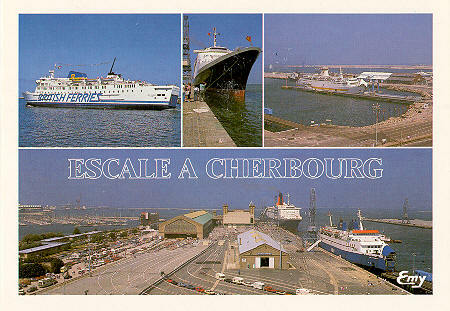 Editions Dubray postcard 511/50 of the Earl Granville in Sealink British Ferries colours. Editions Le Goubey postcard 10229 of the Earl Granville in British Ferries colours. Leo Cards PS-4 of the Earl Granville leaving Portsmouth in British Ferries colours. 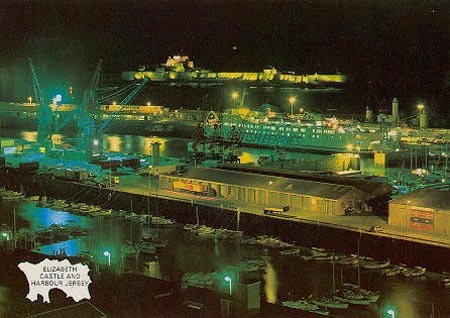 A&J Wholesale postcardJ.51 of the Earl Granville at Jersey. 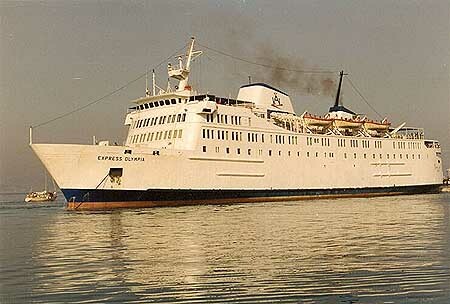 In 1990 Earl Granville was sold to Greek owners Aegan Pelagos Naftiki Eteria (Piraeus) as the Express Olympia. 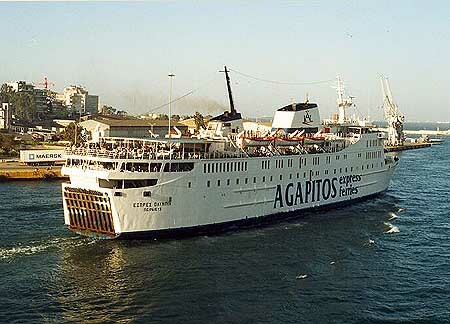 In 1991, owners became Agapitos Express Ferries, who in turn became part of Minoan Flying Dolphins (Hellas Ferries) in 1999. 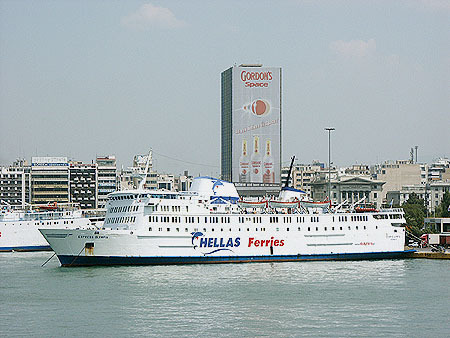 They later changed their title to Hellenic Seaways. 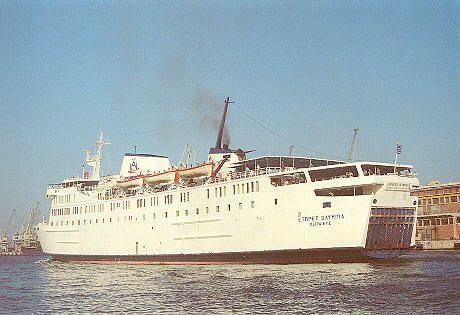 Express Olympia was broken up in India in 2005. Ramsey Postcards 55 of the Express Olympia in Agapitos colours. 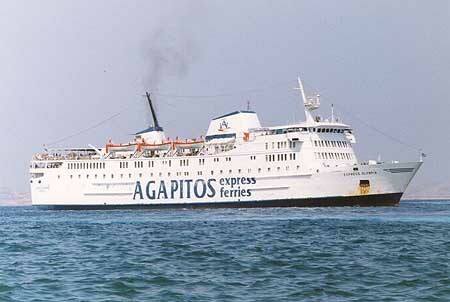 Express Olympia in Agapitos colours. Express Olympia in Agapitos colours, Piraeus. 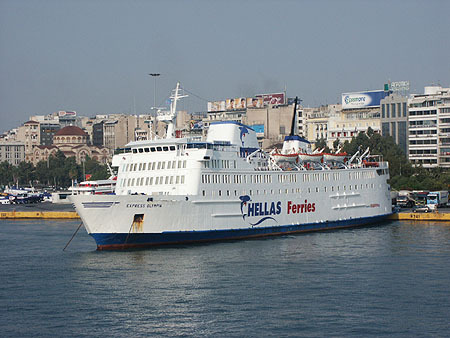 Express Olympia in Hellas Ferries colours, Piraeus. Express Olympia in Hellas Ferries colours, Piraeus, 25/08/2003.